Please create an online fundraising page and a team to help us help you. It's easy and you will be surprised how successful you will be. Corporate or individual sponsors are welcome. All packages include your logo and corporate name in promotion materials, banners, our website and email and social media campaigns. To learn what levels of sponsorship are available. We need volunteers to help set-up, register, act as guides, clean-up and register walkers on the day of. We need people before hand to help with mailings, phone calls, distributing posters, signs and brochures, and many other tasks. High school and college students in need of community service credits we would love to talk to you. We are a 501(c)(3) nonprofit eligible for most community service programs. Tables with chairs and a canopy are available for groups and business that serve the autism and related disorders community. 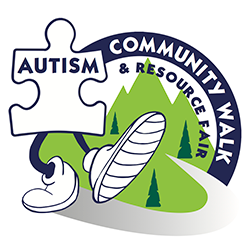 The Autism Community Walk, Inc. Web design by Chabelly Cespedes.